Bubbles Academy Arts-Integrated Preschool is now year-round! Summer Semester runs June 3rd – August 23rd! We’re so excited to now offer our arts-integrated preschool year-round, adding the summer semester! 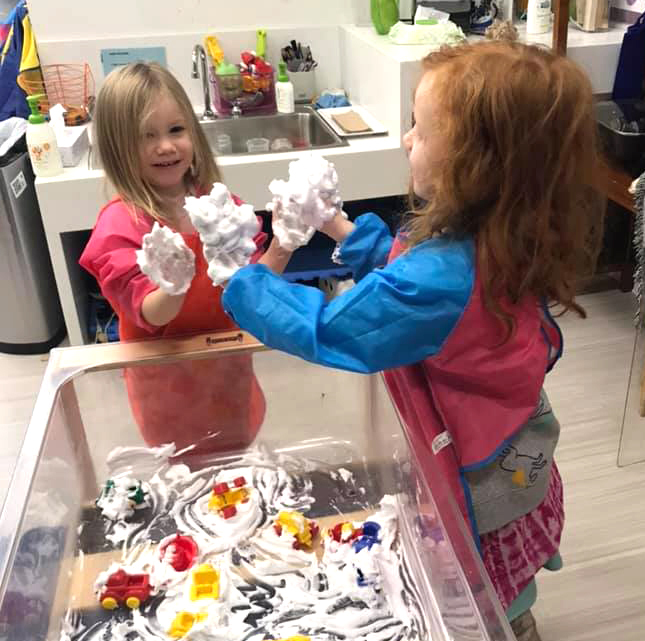 Bubbles Academy’s educational philosophy of arts-integration combines content and skills taken from arts practices including dance, music, theatre and visual arts, with developmentally appropriate, early childhood learning standards and socio-emotional skills. We foster a vibrant learning environment that respects and values the needs of the individual learner in order to create a sense of collaboration and community. Children may attend school any combination of days but must attend their selected schedule consistently throughout the course of the semester. A 4% discount applies to full-year payments. Upon enrollment, a $400 deposit, which is applied to the annual tuition cost, is assessed. Tuition Payments accepted by check or ACH withdrawal. Credit card payments accepted with added 3% fee. New to Bubbles Academy Arts-Integrated Preschool? Already enrolled in Bubbles Academy Arts-Integrated Preschool? Email Megan Lowndes, Admissions Manager, to enroll in Summer Semester.